Mathematical modeling is about rules--the rules of reality. 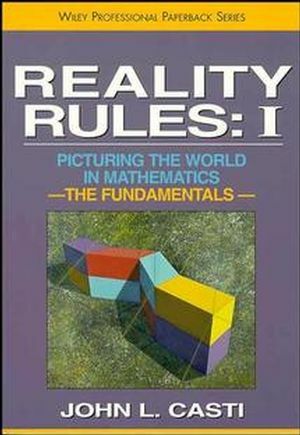 RealityRules explores the syntax and semantics of the language in whichthese rules are written, the language of mathematics. 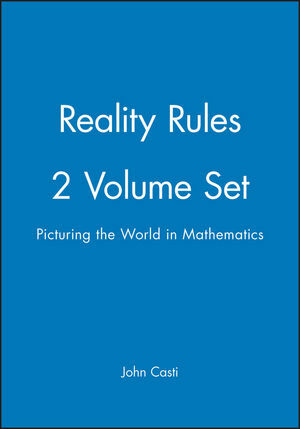 Characterizedby the clarity and vision typical of the author's previous books,Reality Rules is a window onto the competing dialects of thislanguage--in the form of mathematical models of real-worldphenomena--that researchers use today to frame their views ofreality. Moving from the irreducible basics of modeling to the upper reachesof scientific and philosophical speculation, Volumes 1 and 2, TheFundamentals and The Frontier, are ideal complements, equallymatched in difficulty, yet unique in their coverage of issuescentral to the contemporary modeling of complex systems. 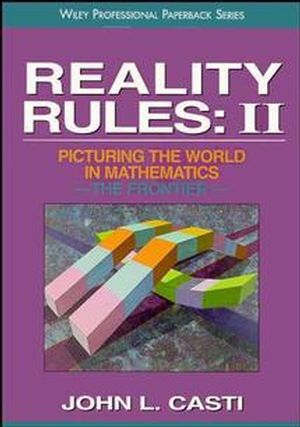 Engagingly written and handsomely illustrated, Reality Rules is afascinating journey into the conceptual underpinnings of realityitself, one that examines the major themes in dynamical systemtheory and modeling and the issues related to mathematical modelsin the broader contexts of science and philosophy. Far-reaching andfar-sighted, Reality Rules is destined to shape the insight andwork of students, researchers, and scholars in mathematics,science, and the social sciences for generations to come. A thoroughly modern account of the theory and practice ofmathematical modeling with a treatment focusing on system-theoreticconcepts such as complexity, self-organization, adaptation,bifurcation, resilience, surprise and uncertainty, and themathematical structures needed to employ these in a formalsystem. John L. Casti is a member of the faculty of the Santa Fe Institute and a professor at the Technical University of Vienna. He is the author of Alternate Realities, Paradigms Lost, Searching for Certainty, Complexification, and Five Golden Rules. Dr. Casti is the executive editor of Complexity, a journal published by John Wiley. Strategies for Survival: Competition, Games and the Theory ofEvolution. The Analytical Engine: A System-Theoretic View of Brains, Minds andMechanisms. Taming Nature and Man: Control, Anticipation and Adaptation inSocial and Biological Processes. The Geometry of Human Affairs: Connective Structure in Art,Literature and Games of Chance. The Mystique of Mechanism: Computation, Complexity and the Limitsto Reason. How Do We Know? : Myths, Models and Paradigms in the Creation ofBeliefs.